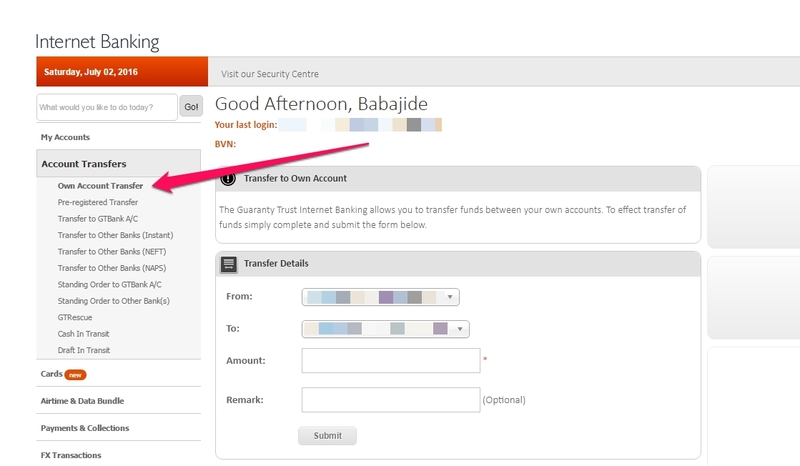 Earlier, I shared info on how you can get dollar MasterCard at GTBank Nigeria. In this post, I want to quickly share with you, how to transfer money to Guaranty Trust Bank Dollar Master Card. Funding the card is quite easy. I fund mine via the GurantyTrust Bank Internet Banking or by making use of the GTBank mobile app. 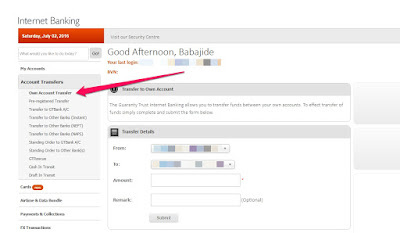 Click on "Own Account Transfer"
Press the white button on your GTbank token device and type the transaction code generated in the space provided to approve the transfer. If successful, the amount transferred will reflect in the balance of the GTBank dollar card account.